For use in woodworking, plastic, and light alloy machines, the ADEC 70 series manual tool-change spindles are designed to be cooled by compressed air. 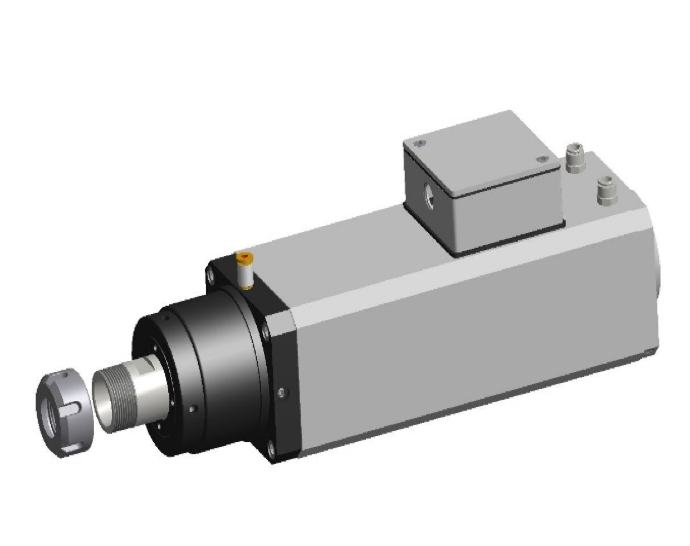 The solution provides more efficient cooling than fan systems, while also allowing for a shorter overall length of the spindle. There are a multitude of possible configurations for the ADEC 70. Listed below is the range of specifications available. Give us a call today to build your own ADE-series spindle.